I intended on purchasing the regular Balance N Brighten in Medium but Aptohica was out of stock and I didn't know when they'd have it again. Instead, I went with this and I've only used the "Balance" side. It's a great powder foundation with light coverage which is great for the summer. The bronzer is a bit too dark for me, which you wouldn't expect from looking at it. I included this in my June Favourites because I've used it every day! It applies very nicely and evens out my skin tone. It's light and doesn't look powdery. 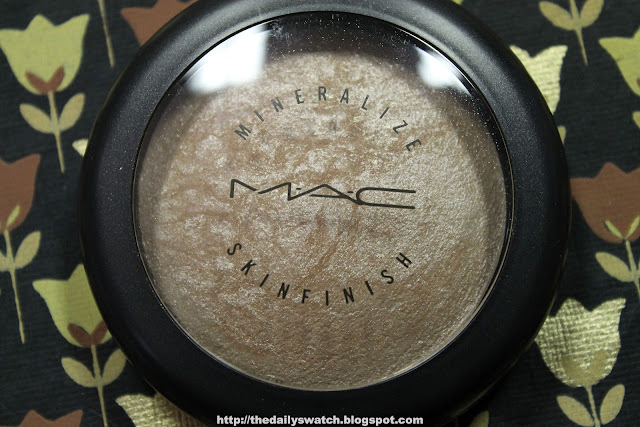 Soft and Gentle is my first Mineralize Skinfinish product. I'd heard so much about it that I thought I would give it a try. I thought it would be more golden, but it's more of a skin tone colour, which makes sense. You can read my review of Soft and Gentle by clicking here. I've been using these for almost two years. Though they're 5 for $5, it's still not a good deal if you just want a lot of hand sanitizer. However, about twice a year, I buy five of these and they last me quite a long time. They come in many scents and after you use them, the scent lingers on your hands for a little while. I don't recommend using them immediately before eating because their scent can mix with your food (which may be an issue for some). However, the scent will diminish significantly once the gel has evaporated. I think these are great to carry around as they are small and compact. That's it for my favourites! It hasn't really changed much and I didn't think it would make sense to include ones I've already mentioned. If you'd like to check out my April and May favourites, click here and here!